Book now to take advantage of our seasonal special. "It takes more than just shingles to make a roof!" Who completes the installation of your new roof is the most important decision you will make during this process and the biggest obstacle between you and a successful roofing project is choosing the right contractor to do the work. Renaissance Roofing has a new location in Plymouth, MI! Renaissance Roofing has opened a new location in Plymouth, Michigan to better serve our customers throughout Metro Detroit. Providing Wayne County, Washtenaw County and the Southeast Michigan area with roofing services for over 20 years, we are the foremost experts in installing new roofing systems, home insulation, roof repairs, and troubleshooting for more complicated situations. Renaissance Roofing, Inc. prides itself on quality workmanship and satisfied customers. The goal of Renaissance Roofing, Inc. and all of our employees, is to earn and maintain your complete satisfaction. 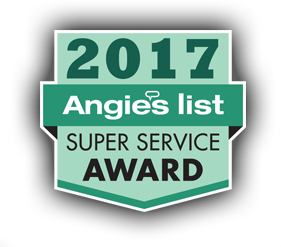 We continue to earn top awards and certifications annually for roofing installation, training, and customer service from our roofing partner, GAF. If you are considering a new roof for your home in Ann Arbor, Canton or Plymouth make your fist call the right call and contact Renaissance Roofing today. Our roof replacement services are provided by crews that are GAF Master Elite certified. For your peace of mind, our project manager and owner will work closely to manage your project, making sure we are paying close attention to detail. Our Michigan installation and repair services are designed to help reduce energy costs and promote proper ventilation. We are fully licensed and insured and all of our employees are GAF Master Elite certified and trained. View Our Projects on the Interactive Map Below!